An affiliate business is one of the less complicated online business models you can venture into. It requires very little to actually get started and risks involved are minimal. It’s no quick overnight riches, mind you. You still have to put up a lot of work, time and commitment. But whether you’re a working mom interested in working from home or a stay-at-home parent willing to earn that extra income, becoming an affiliate marketer can be the perfect option for you. Your task as an affiliate is to attract visitors and direct them to the site of the company you sign up with. You are the middleman in charge of promoting products and/or services and in turn they pay you commission for doing so. Commission based upon the amount of sales you generate. “Pay-per-click” – that is, the company pays you so much each time someone clicks on a link that leads to their website. It is critical that when you decide to participate in a company’s affiliate program, you read all of their terms and conditions as they all vary. Some have bigger differences than others. You also need to know of any restrictions that the company may have. Some companies only allow you to list their ads so many times on a page or only on certain pages. Other companies may prevent you from actually making mention of their ads. It is very important to know what these guidelines are because if you violate them (even accidentally) they may terminate their contract with you as an affiliate. Some affiliate programs offer 2-tiers of income levels. It is important to know this information as well so that you can market accordingly. Basically, when a business offers a “Tier 2” to their affiliates means that the affiliate earns commission from all affiliates introduced to the program by him/her. One of the biggest pluses to the affiliate business is that there is absolutely no inventory, no invoicing, no packaging, no shipping and no customer complaints involved. Start-up capital is low compared to other business options. No need to create any products. The company will take care of that. Your job is to find goods related to the industry you’re in and recommend them to your target market. Flexibility – you can work anytime and from anywhere as long as you have a computer and an internet connection. Easy to test – you can join various programs. Then observe and compare what works and what not. You definitely need to build a blog or a website as this is the place (in my mind I picture it as a sort of a Head Office) where all the information you supply such as articles, videos, newsletters and links are 'gathered'. Find a topic – Go for a subject you already know something about, or at least interests you and willing to learn and study further. Examples include a hobby, work experience, challenges you managed to overcome. Know your target market – it’s very important that you determine who you specifically intend to reach. Map out exactly who they are – gender, age, status, background, income - anything that comes to mind that will help you sketch a very clear picture of who they are. Do not try to reach everyone as you end up reaching no one. Find and purchase a domain name and find a place to host it. Many places offer both of these services making it very easy. When in doubt, don’t be afraid to use the support system that they offer. They are there to help and you will find no one better than those you sign up with, to give you the exact assistance you might need. GoDaddy and HostGator are both resources that offer domain names and web hosting all in the same location. Install a visually appealing web design. This probably is the most intimidating portion of this entire process. But many sites that offer the domain names and web hosting also offer basic templates as well. Fill your site with valuable content. People must feel better after consuming your information – they must feel they got something out of it. If you are not an experienced writer you may want to hire this portion out. By establishing a reputation for providing good and useful resources you will build trust and credibility with your audience. You can also write reviews for items or endorse certain products as well. You then have to start driving traffic to your site. This can be done in a number of ways. You can write articles that relate to your site's subject matter and post on various sites such as EzineArticles, Hubpages, Squidoo. You can post comments with your link on blogs or forums. If you choose to do this, make sure your comments are tactful and relevant. You do not want to “spam” these sites. Once you have your site established with solid information and has initiated to build up interest, it is time to start advertising your affiliate business partners. Make sure that these relate to the theme of your site and the audience you earmark. Visitors read your content for a specific reason – normally to find ways to solve a problem, to learn new things or to look for information. Thus, if all three are connected to “the why” that person originally clicked on your site, the more chances the featured ads get seen. These do not cost anything to join. Remember, this is advertisement for the company – you should not be paying THEM to advertise for THEM. Be very cautious of those who charge. There are several websites that list affiliate programs that are available. By doing a Google search for affiliate programs that are related to your niche, you should be able to find several that will fit your needs. When you determine which program(s) you’re going to join, all you need to do is go to the respective site, click on ‘Affiliate Program’ or ‘Become an Affiliate’ in the Menu Bar and follow the instructions. Sometimes this information will be listed at the very bottom of the website as well. Otherwise, you can simply send an e-mail to the particular company asking to become their affiliate. As you find an affiliate program you want to sign up with, you’ll need to follow their protocol for joining. These vary from company to company. Some are stricter than others. If your application process happens to be denied – do not be discouraged. There are dozens of additional affiliate business program opportunities out there. 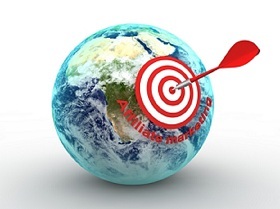 Most companies will offer some bells and whistles to attract affiliates. After all, affiliates generate business for them. Instead, go for companies that offer support, tools and resources to their affiliates. These will guide you and offer strategies, tips and techniques on how, when and to whom you can potentially market their products. 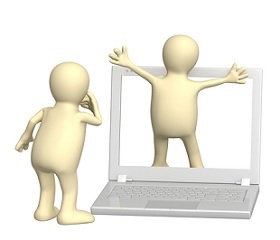 Some also have forums where members communicate with one other – sort of help and be helped. Once you are in the online business environment, you are going to hear the term “Search Engine Optimization” or “SEO” frequently. This means that you try to optimize the content of the web pages you create, so that Search Engines (SEs) like Google, Yahoo! and Bing will find them. placing them strategically throughout your content. Your aim is to attract free traffic, also called organic traffic, to your content by ranking high in search engines. This may sound complicated at first but you’ll realize that over time, as you create more and more content, it becomes second nature. Another popular concept you will want to learn more about is social networking and how it can help you promote your business. Popular social media networks include sites like Facebook, Google+, MySpace and Twitter. (Twitter is a micro-blogging site meaning that its users post short content – in this case up to a maximum of 140 characters). Learn how to promote your business in a tactful way that won’t offend people and actually turn them away from your business. SEO and social networking are both very powerful tools that can be used to your advantage in your business if “worked” in the right way. This website offers a lot of information on how to build your affiliate business from start to finish. It also provides an affiliate directory, as well as a variety of tools to help you market your business. P.S. I have no affiliation whatsoever with any of the suggested websites mentioned in this article. They’re mentioned on the basis of research and recommendations from peers operating in the same field as mine.